Shaving is more or less a mandatory rite of passage for every man. Even though not all men grow beards, at one point or other they have to go through the shaving stage. Shaving the beard might start off exciting, but with time it can become a nuisance. Some men might not realise how quickly a beard can grow back after shaving – and so the rate of hair growth can be frustrating. Wouldn’t it be great to get a clean shave having spent so little? Well, with double edge shaving, your budget can go to as low as 13cents (10p) per blade. 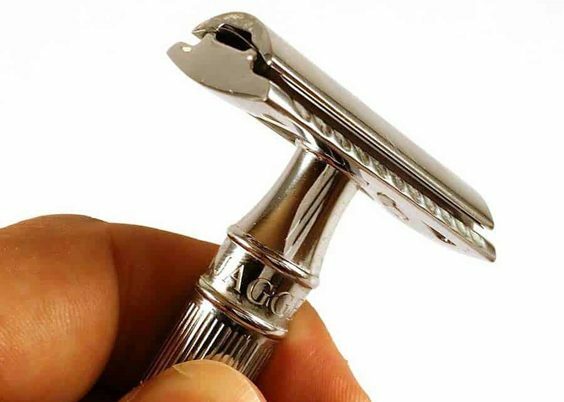 Since the cheapest typical razor can cost around $3.50 (£2.70), you will be making significant savings with a double edge shaving safety razor. Even though some people equate cheapness to low quality, with the double edge shaving razor, this is not the case. Most brands of this shaving razor make high-quality blades that can last around 2-7 shaves, depending on the type of brand you went for. Overall, a good-quality double edge shaving razor, along with the shave brush, can last you years while only demanding a change of the blades every few shaves. Most men feel the weight of having to replace their razors every few weeks given that most of them are not stain resistant. With the double edge shaving razor, the story is different. To people leading a life of Zero Waste lifestyle, double edge shaving razors are the perfect solution. Why? Because the razor is made of stainless steel it is resistant to stains, even rust. Therefore, all the moisture in your shave will not have a negative impact on your razor. For more info, you can check out the Van Der Hagen safety razor review to learn more about what makes the double edge shaving razors recyclable. You know how you dread shaving because you end up with irritated skin? The double edge shaving razor assures an irritation-free shave. With multi-blade cartridges, the first cartridge pulls the hair strands away from your skin, giving leeway for the other cartridges to cut the hair from the root from below the surface of the hair follicle. While this may seem like the perfect option to clear all hairs on your face, it actually leaves behind razor burns and cuts, a state referred to as ‘hysteresis’. With the double edge shaving razor, the safety razor cuts your hair strands to the surface of the skin through multiple shaves. Remember though: the trick is to take your time in preparing for your shave – exfoliate so that your wet shaving process will be a lot easier to handle. The double edge shaving safety razor was used frequently in the past for best shaving results. In reference to this, people have come up with a movement on social media: #shavelikeyourgrandpa. For the double edge shaving tactic, you will need to use a shaving brush if you are really looking to do it like your grandfather did. The benefits of the brush are fully realised when you apply shaving cream with it. This exfoliates your skin, as well as lifts your hair strands, making your shaving process much easier. Arguably, safety razor makes men feel more manly throughout the shaving period, with the heavy steel razor exuding a certain confidence. Men need one razor to get through shaves, not many short-lasting cartridge razors. Put simply, men have a lot more control over the shaving process with a double edge shaving safety razor than with any other razor.